Happy March everyone! You may have saw in Instagram stories yesterday that I have selected our books for spring! Pardon the forthcoming exclamation marks, but my favorite season is drawing near and I am really excited about it. 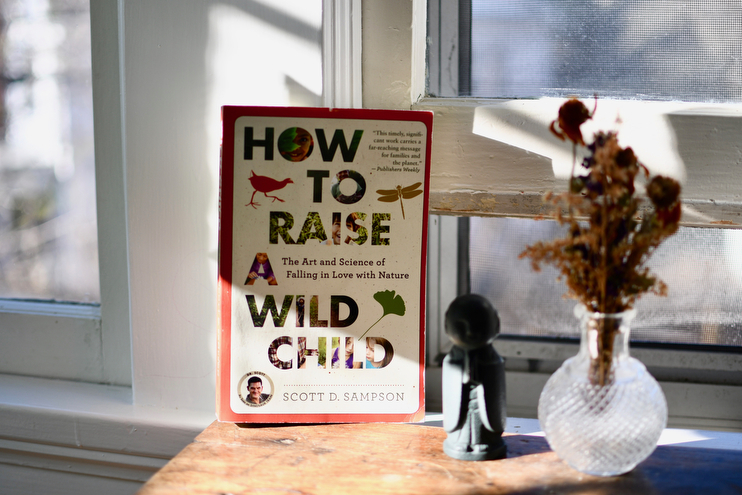 We are starting off our reading journey together with a parenting book titled: How To Raise a Wild Child: The Art and Science of Falling in Love with Nature by Scott D. Sampson. It’s a book I’ve actually had for several months now, calling to me from the growing stack of inspiration by my bed. It’s written by founder of Dinosaur Train (you know the one?) who is an avid proponent of the natural world and connecting people with the wonder and wisdom of science and nature. From what I have gathered at a glance, this book can help us mothers walk a more meaningful path to foster a healthier more life-giving relationship between the earth and our children. I don’t know about your kids, but mine love to be outside. It’s without question their favorite place to be, no matter the season. They gravitate towards the open grass and looming trees for play and couldn’t be happier getting muddy in the garden where they get lost in their imaginative worlds seeped in curiosity. But, and there’s always a but…they also love screens. What kid doesn’t? They’re bright, colorful, fast, novel, loud, and entertaining. The back cover of this book shares that “the average North American child now spends about seven hours a day starting at screens and mere minutes engaged in unstructured play outdoors.” That appalls me! Seven? But how? This is not the “normal” Andrew and I want for our family, so we have worked hard to establish and maintain boundaries around screen time and technology in general, notably giving our TV the boot from our main living area. This alone has had a tremendous impact on the quality of our family life. We value our time at home even when it’s hard, and while I know that screens can absolutely be beneficial in some cases, they are not an adequate substitution for engaged play. Plain and simple, they limit our children and detach them from their needs, which is primary movement and imitation. So I know what you may be thinking, “So the dude who was behind a TV show wrote a book about how kids need to not watch screens? How does that work?” Yeah, me too! I have no idea, but I am eager to find out. Scaling back and being selective with screen time today is really hard as a parent, and it’s something I struggle with daily. Technology is everywhere and the pull and allure to use it is downright addictive. Were you a part of our Rest Retreat? Remember those informative videos and articles we watched? The addiction goes for all of us, adults and little ones alike. I am hopeful that this book not only gives me more of a nudge to encourage more nature play at home with our kids, but also for me too. I struggle with anxiety, which some of you may know, and being in nature always resets my tempo and settles my frazzled emotions. I know I could sure use some help by way of more mindful nature therapy! So let’s begin, shall we?! If you haven’t already gotten your book, no worries at all. 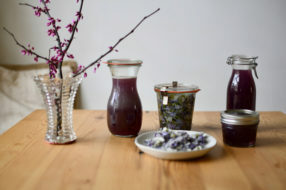 But order it now 😉 I am not going to send out our first newsletter until I’ve had a chance to read a little bit myself, so you can expect that this weekend with details on what to expect, reflections, questions, and several practices to try at home. Below you can see the other books I have selected for our spring reading journey, making sure to vary the subjects so we don’t end up too heavy in one area. They were chosen based on your votes, which by the way, I thank you for doing. And in case you were wanting the other titles from the survey, here they are! I am also extremely open to adding more or different titles to our book club down the road, and yes, even fiction! So if there’s something you feel may be a good fit for us, do tell. O T H E R | C O N T E N D E R S . . .
As someone who is child free, do you suggest this as a good option for those of us not planning on being parents? I am around young children often as my boyfriend and I have nieces and nephews, and I was a nanny for years. I think it’s important for those of us without children to still be aware of how we interact with kids, but if this is mostly parental advice, I’m not sure it’ll be a good fit. I too love nature and would appreciate some insight on the benefits of being outside. Is there a similar book on the list above that I could substitute for March? So excited for this year’s book club! Before I start working my way through this spring’s picks plus so many want-to-reads from the “other contenders” list (possibly a little too ambitious here! ), I wanted to clarify whether some of the “other contenders” books might appear later in the summer/fall/winter book club? Or would you plan to create a whole new list of books to choose from? Thank you so much for posting such an amazing choices of titles. 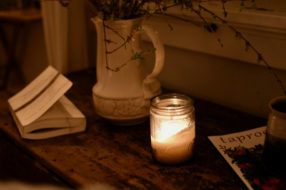 I had the book you choose for March in my audible library for over a month but have not started to listen now I will. Exited to be part of your book club. I’m excited to join the reading club this spring and can’t wait for my copy of ‘How to raise a wilde child’ to arrive!